Cities in Georgia do a fairly good job of maintaining the streets and sidewalks, but every now and again, they fall down on the job and so does the public. It is very hard to bring a civil lawsuit against a County and the State, to a lesser degree, but cities in Georgia, like Athens, owe a duty to take care of the public with what we call "ordinary care" in the law. One of the biggest problems is the issue of water meter covers that are constantly going missing or breaking and the lack of programs to track repairs and fix them. We call cases against the City for this premises liability cases. One of the biggest problems with cases against Cities in Georgia is that a very specific "ante litem" (before litigation) notice must go to the City telling them exactly what they are being blamed for. In a recent Georgia premises liability lawsuit, a plaintiff sued a city for injuries he suffered after stepping into a water meter hole that had been left without a cover. The city moved for a summary judgment (that's where the defendant tells the Judge that there is no possible way the jury could find for the plaintiff under the existing law), arguing that the notice the plaintiff had given was insufficient under OCGA section 36-33-5 for lacking the correct address for the water meter hole. The city was granted summary judgment. The Judge agreed with the lawyer for the City, finding that the notice had failed to mostly comply with the statutory requirements. 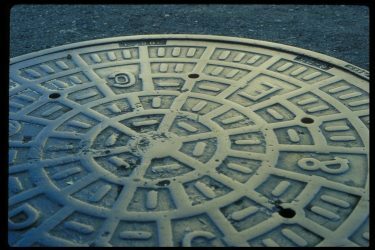 The plaintiff claimed he'd fallen in a manhole missing its cover and was injured at the intersection of two roads. He sent a notice to the city stating a precise address but not referring to the intersection. When he sued, he again used a precise address without referencing the intersection. The accident actually took place at a different address located near the intersection, and by the time of the appeal, the parties didn't dispute this. The defendant investigated at the address given and didn't find any water meter there. The city provided evidence that there were 0.3 miles between the actual address of the water meter and the water meter closest to the address provided by the plaintiff. There were 20 meters between the two locations, which were on opposite sides of the road. Summary judgment was granted for failing to comply with the notice requirements. The plaintiff appealed, arguing that the trial court had made a mistake in granting the motion for summary judgment because his notice substantially complied with the notice requirement in the statute, since they were geographically close together. The appellate court disagreed.It explained that under OCGA section 36-33-5, an accident victim is supposed to give a written claim to the city within six months of an event happening upon which a claim against that city is based. The notice must include the place, time, and extent of the injury. The courts are not supposed to entertain a personal injury lawsuit against a municipal corporation if notice hasn't been properly and timely given. The purpose of the notice is to give the city the chance to investigate before litigation starts in order to decide whether a lawsuit can be avoided.There's no specific standard to decide whether a particular notice is enough, since substantive accord with the statutory requirement is all that's necessary. Information provided is considered sufficient if it puts a city on notice of the general character of the complaint, and generally of the time, place, and degree of the injury. The notice that the plaintiff gave here didn't substantially comply with the notice requirements. An incorrect address was given, and it told the city to look into an address that didn't have a water meter. Its geographic proximity to the real address where the accident happened was irrelevant. To mostly comply, the notice had to give enough notice to allow the city to appropriately investigate and adjust a claim before litigation. In the end, the Plaintiff lost the case and it was thrown out because the address was not correct. Be careful out there! Atlanta premises liability attorney Christopher Simon has considerable experience representing people who have been injured and families who have lost their loved ones due to negligence and wrongful conduct, and he is prepared to assist you with a possible claim. If you believe you have a possibly meritorious claim and would like to discuss the options you may have for legal recovery, contact us to arrange a free case consultation.